Every family has its problems. But even among the most troubled, the Plumb family stands out as spectacularly dysfunctional. Years of simmering tensions finally reach a breaking point on an unseasonably cold afternoon in New York City as Melody, Beatrice, and Jack Plumb gather to confront their charismatic and reckless older brother, Leo, freshly released from rehab. Months earlier, an inebriated Leo got behind the wheel of a car with a nineteen-year-old waitress as his passenger. The ensuing accident has endangered the Plumbs' joint trust fund, "The Nest," which they are months away from finally receiving. 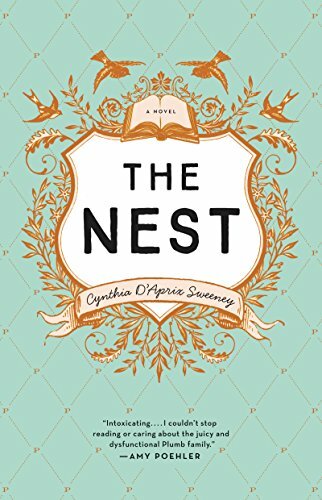 Meant by their deceased father to be a modest mid-life supplement, the Plumb siblings have watched The Nest's value soar along with the stock market and have been counting on the money to solve a number of self-inflicted problems. Melody, a wife and mother in an upscale suburb, has an unwieldy mortgage and looming college tuition for her twin teenage daughters. Jack, an antiques dealer, has secretly borrowed against the beach cottage he shares with his husband, Walker, to keep his store open. And Bea, a once-promising short-story writer, just can't seem to finish her overdue novel. Can Leo rescue his siblings and, by extension, the people they love? Or will everyone need to reimagine the futures they've envisioned? Brought together as never before, Leo, Melody, Jack, and Beatrice must grapple with old resentments, present-day truths, and the significant emotional and financial toll of the accident, as well as finally acknowledge the choices they have made in their own lives. This is a story about the power of family, the possibilities of friendship, the ways we depend upon one another and the ways we let one another down.